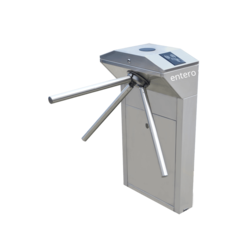 Providing you the best range of full height steel turnstile, tripod turnstile, p type gate and flap barrier gate with effective & timely delivery. 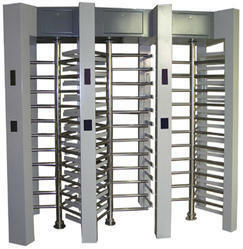 We offer a wide range of Steel Turnstile, which is available in F 100 series full-height turnstiles. 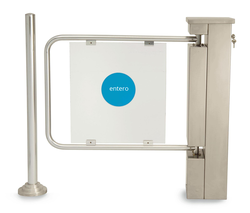 These can offer the unique solution for unmanned entrances with high level of security requirements. We are one of the renowned suppliers of quality Steel Tripod. These products are specially designed for the applications where the primary concern is narrow spaced and most economical. In our entire V 100 series turnstiles a pre-figured AISI 304 quality stainless steel top and bottom lids are used where either the cabinet is stainless steel or A1 quality painted steel. We are offering a wide range of P-Type Gate. Our organisation offers a superior range of gate that includes stainless gate valves, slide gate valve, and gate valves. These are manufactured using high-grade stainless steel in accordance with industry standard. Our range finds huge demand in the industry for its designs and performance characteristics. These are checked on the basis of quality parameters that meet industry standard and norms. We provide Flap Barrier Gate. These products are made with AISI-304 stainless steel or painted carbon steel, that gives the final finish, great resistance to the environmental agents and in particular the use of stainless steel guarantees a better resistance against wear and tear.